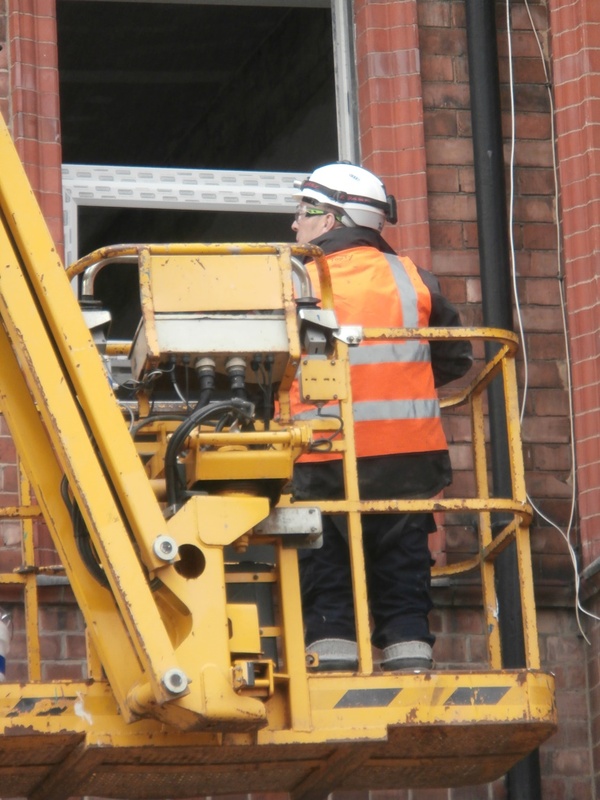 Did you know that there was such a thing as National Window Safety Week? Well neither did I. 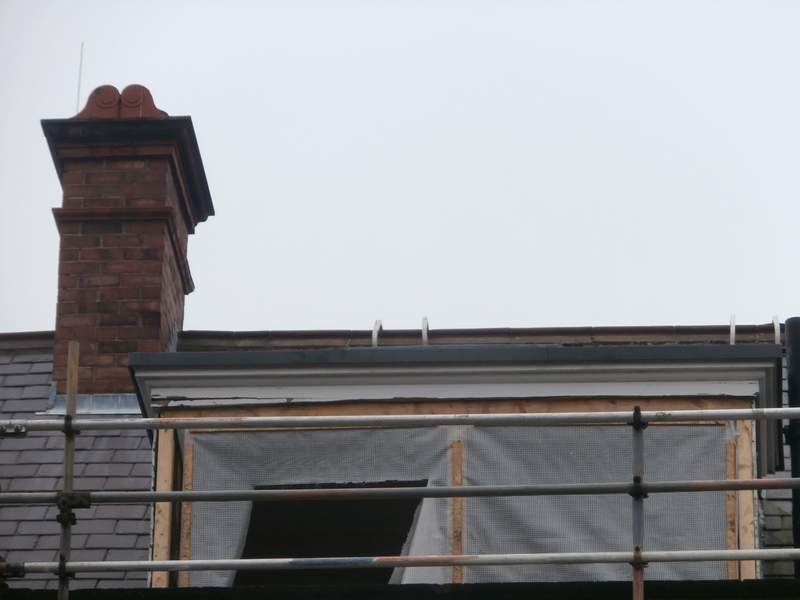 It seems it is marked annually in early April, but it was new windows that were the focus on Tankerville Terrace when I visited the site today on Wednesday March 16th. 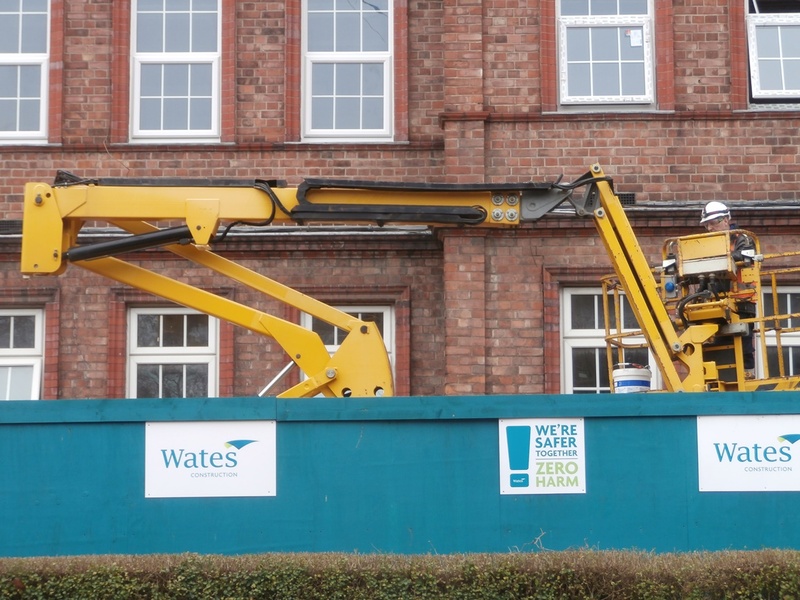 We’ve now reached week 26 of posts from this academic year with Wates working on the building and I have made a lot of new friends. It’s a lovely feeling to be expected & accepted as one of the ‘family’ now and there’s a game developing to see who can get into the blog! If it’s a Wednesday, it now must be a ‘Christine Camera’ day! 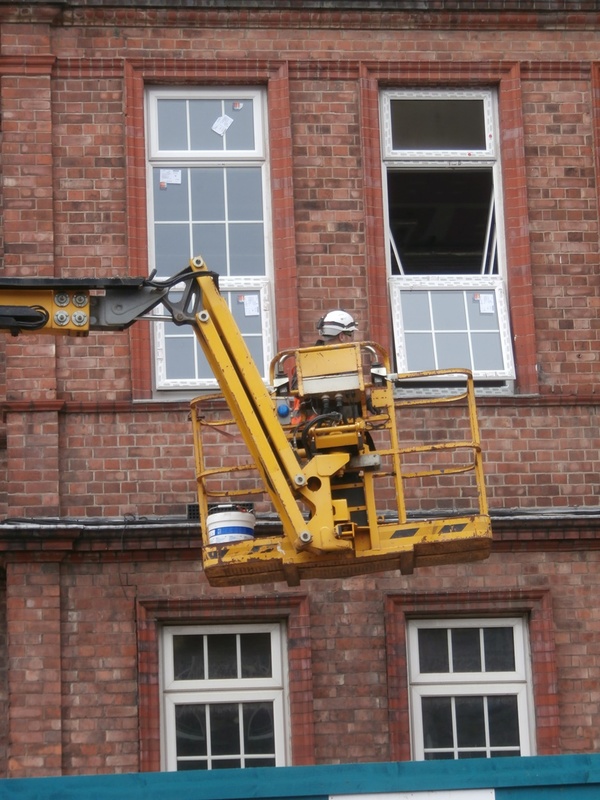 Wates are in the process of replacing the old building’s double-glazed windows at the moment. As a passer-by commented to me as I stood across the road taking these photographs, “They’ve done a very good job.” You have got to look very closely and know exactly what you’re looking for to be able to distinguish the new from the old. 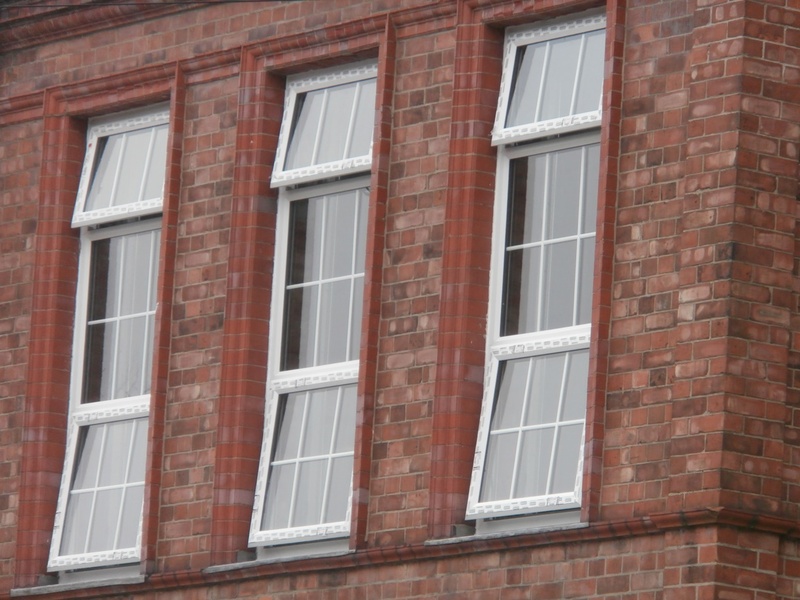 The windows look identical, but there will be no more need to stand on chairs to open them anymore. These new ones will open at both the top and bottom, not only via the middle frame as before. The new windows now open at the top and at the bottom. 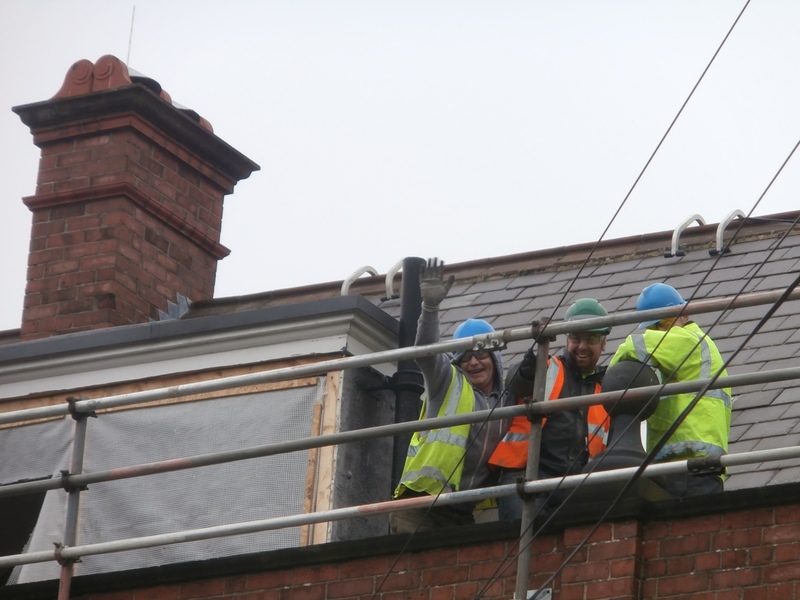 My lunchtime visits to the site have often co-incided with a good photo opportunity and today proved no exception. 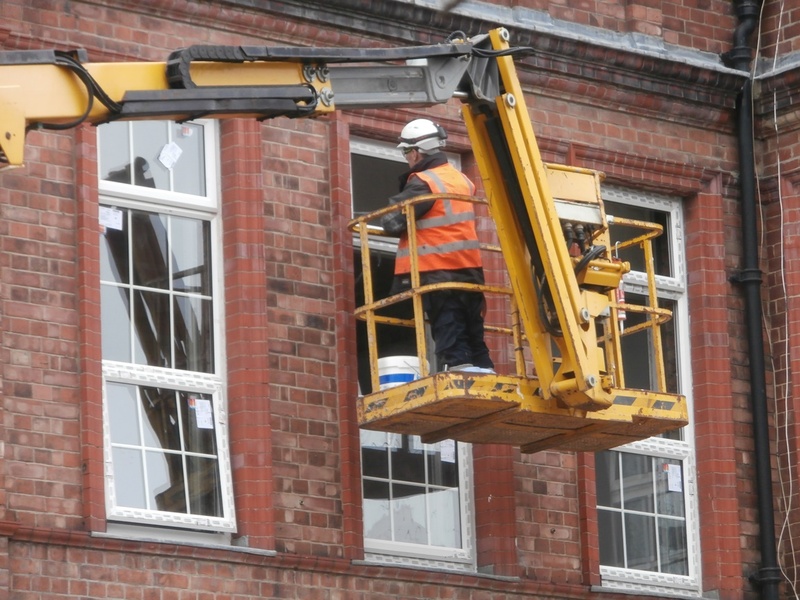 Within minutes of my arrival, the man on the cherry-picker who was in the process of fitting the new frames to old ‘Room 2’ began yet another ascent. 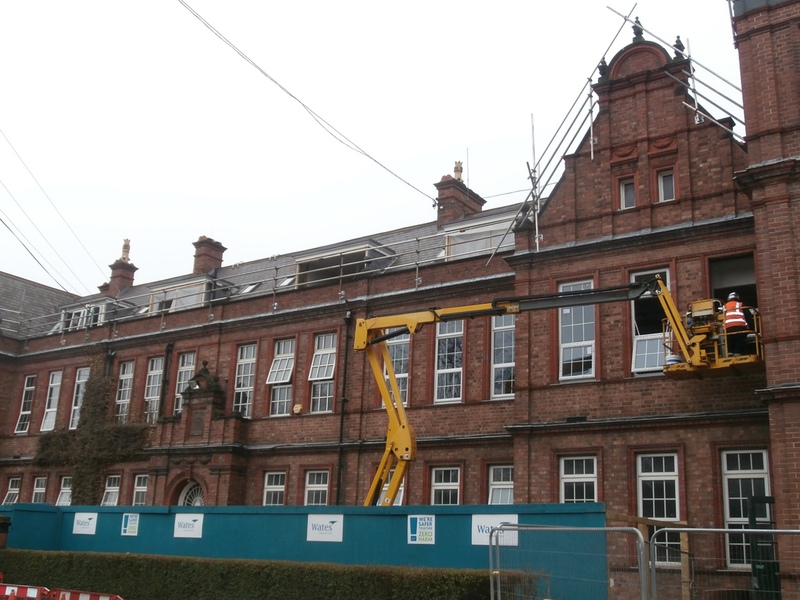 Having begun to the left of the front elevation, Wates now appear to have almost finished refurbishing all the windows between the north & south gables of the original Newcastle High School building. 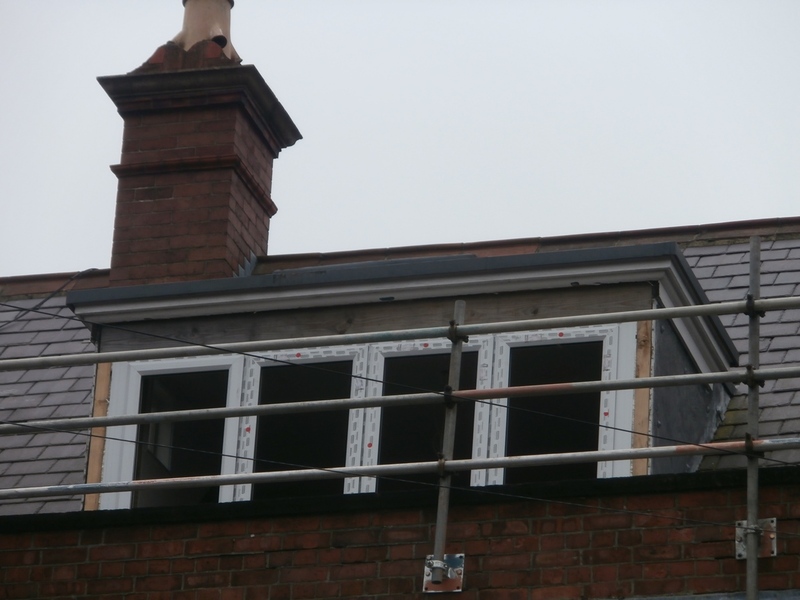 At roof level, however, only the first dormer window has been done. 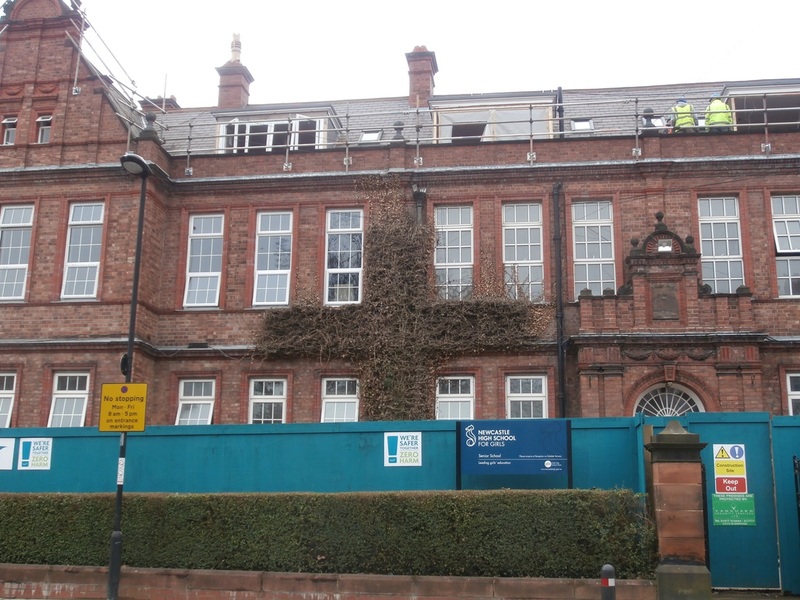 Alison Roe’s Deputy Head’s Office dormer window has now been fully updated whilst Sarah Timney’s Alumnae Office window next door to it is still in a rather ‘interesting’ state. 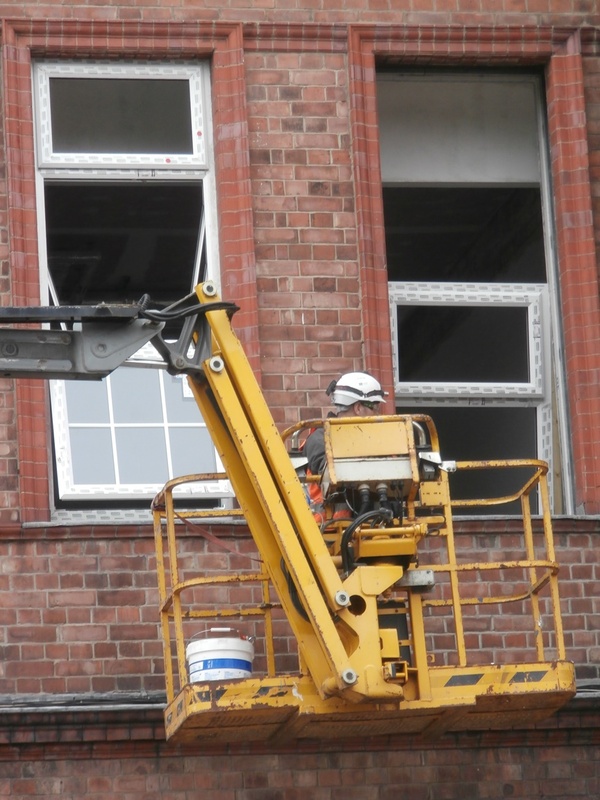 By the time I walked back down Tankerville to return to school, the man appeared to be hard at work preparing the frames for the glass. 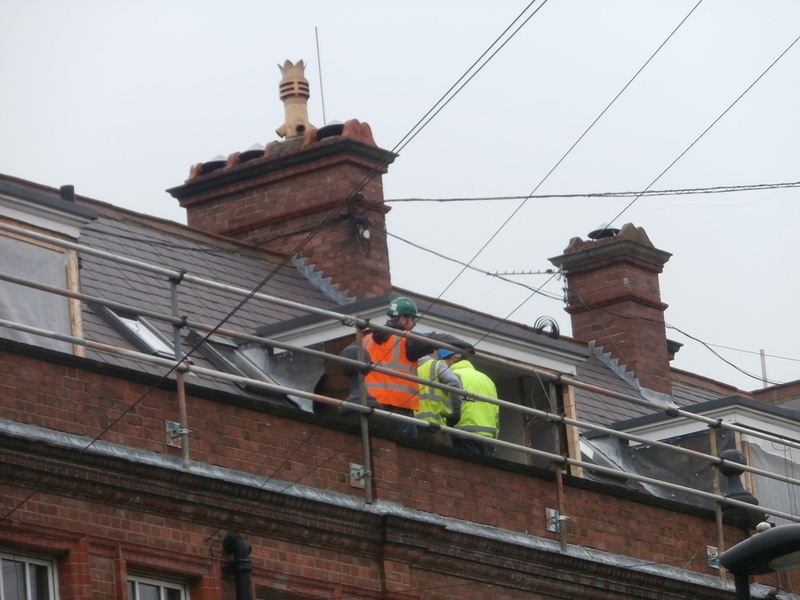 The second ‘Room 2’ upper unit being prepared for its glass. It won’t be too long before every classroom has a new perspective. 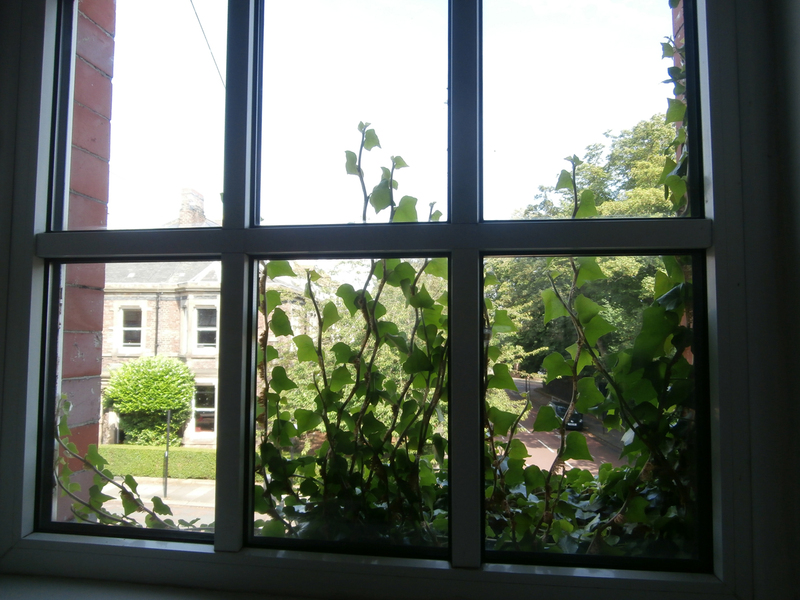 Unfortunately, owing to the way the windows now open, my old ivy-covered ‘window on the world’ will now become a thing of the past. Green-infused sunlight streaming into Room 5 in July 2014.